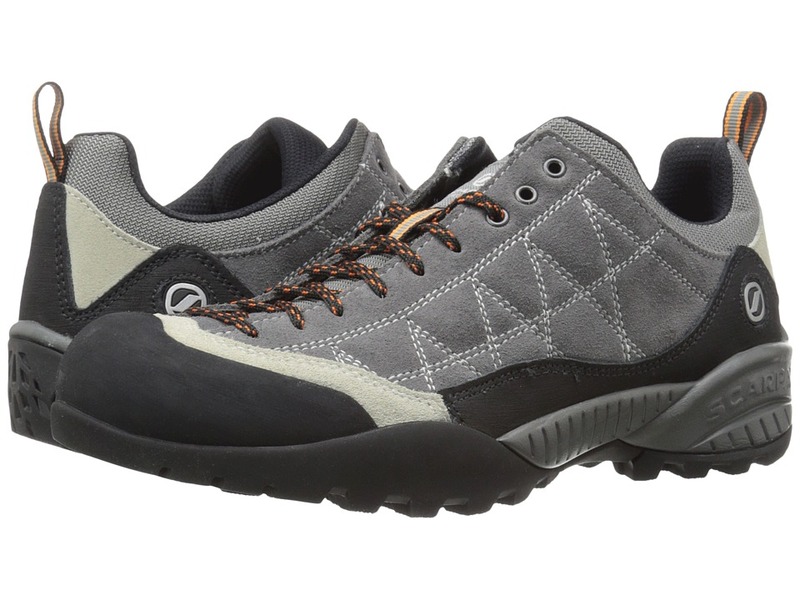 A lightweight trail shoe, the Scarpa Moraine GTX is perfect for most any outdoor activity, in any condition. Planet Friendly: &amp#822640 percent recycled synthetic leather and 29 percent recycled polyester mesh upper. &amp#8226100 percent PC recycled lining 70 percent recycled stroebel. &amp#8226Lace and webbing is 100 percent Ecosensor recycled polyester. &amp#8226Midsole has ECOPure EVA additive to promote degradation in landfill conditions. &amp#822625 percent recycled rubber outsole. Structured toebox with abrasion resistant toe rand. Tongue lining made with stretch GTX XCF for outstanding fit and comfort through the midfoot area. Extended Comfort GORE-TEX membrane for protection with maximum breathability. Removable insole. Arch suspension plate insert. Dual-density compression molded EVA midsole. Durable Trail-Grip rubber outsole. Measurements: Heel Height: 1 1 2 in Weight: 1 lb 1 oz Platform Height: 1 2 in Product measurements were taken using size 42 (US Men~s 9), width D - Medium. Please note that measurements may vary by size. Weight of footwear is based on a single item, not a pair. 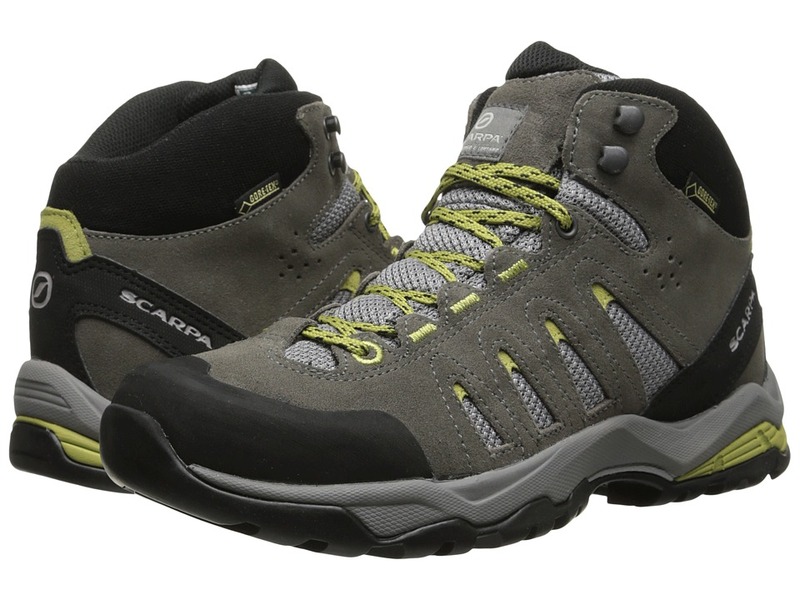 Break away to the mountain with a second~s notice with the ready-for-adventure Moraine GTX Lady from Scarpa. Suede nubuck leather upper with 29 percent recycled polyester mesh inserts. 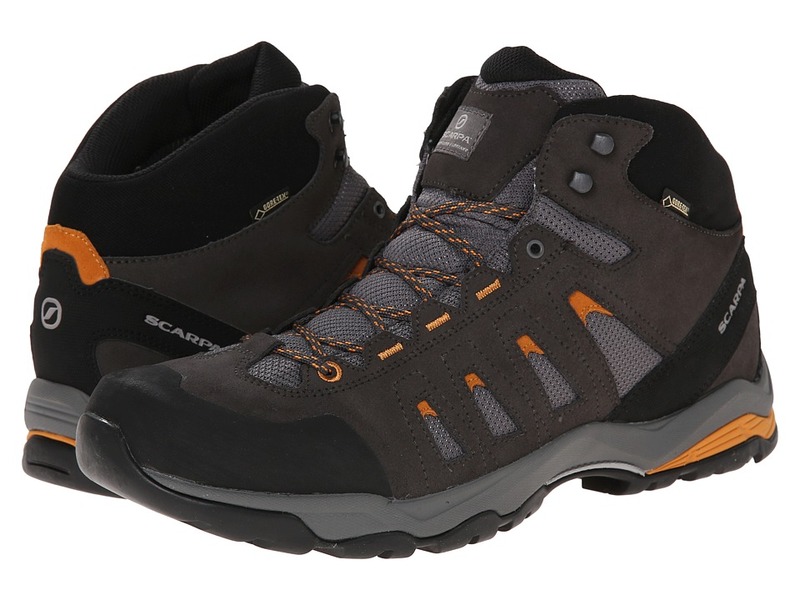 GORE-TEX technology ensures breathable, waterproof protection from the elements. Protective, abrasion-resistant toe rand. Heel pull tab for an easier on and off. Plush tongue and collar for added comfort. Molded foam insole supplies light underfoot cushioning. Dual-density, compression molded EVA midsole provides lasting comfort. Trail-Grip outsole for reliable traction over varied terrain. Imported. Measurements: Weight: 13 oz Product measurements were taken using size 39 (US Women~s 7.5), width B - Medium. Please note that measurements may vary by size. Weight of footwear is based on a single item, not a pair. 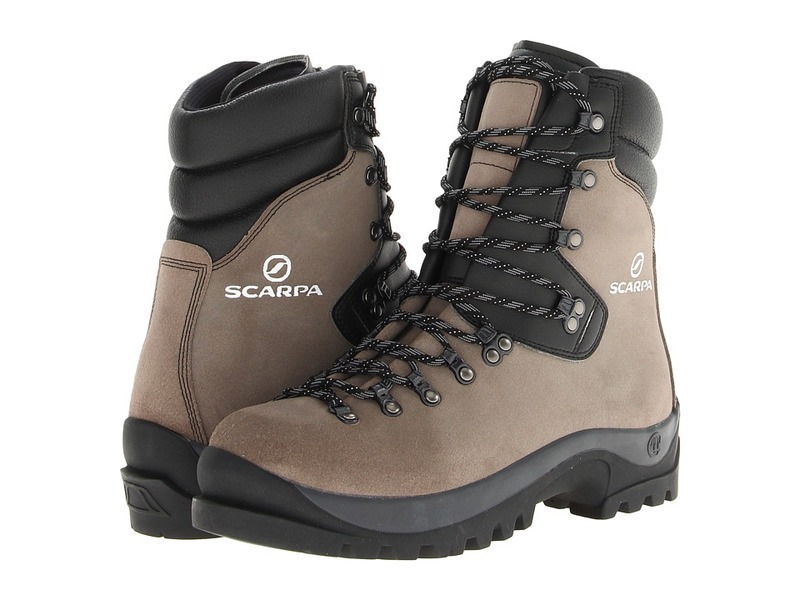 Go anywhere and see everything with the no-nonsense design of the Fuego from Scarpa. A classically styled mountain boot with a supportive tall cuff design, making it ideal for foresters and wildland firefighters. Sturdy construction for kicking steps. Durable rough-out leather uppers can take just about anything. Automatic and semi-automatic crampon-compatible. Double tongue design for an excellent fit. Gusseted tongue keeps debris out for complete protection. Talibrelle lining. Cushioned footbed for lasting comfort. Supportive EVA midsole. Vibram M4 tech outsole. Measurements: Heel Height: 1 1 2 in Weight: 2 lbs 4 oz Circumference: 15 in Shaft: 9 in Platform Height: 2 1 2 in Product measurements were taken using size 41 (US Men~s 8), width D - Medium. Please note that measurements may vary by size. Weight of footwear is based on a single item, not a pair. 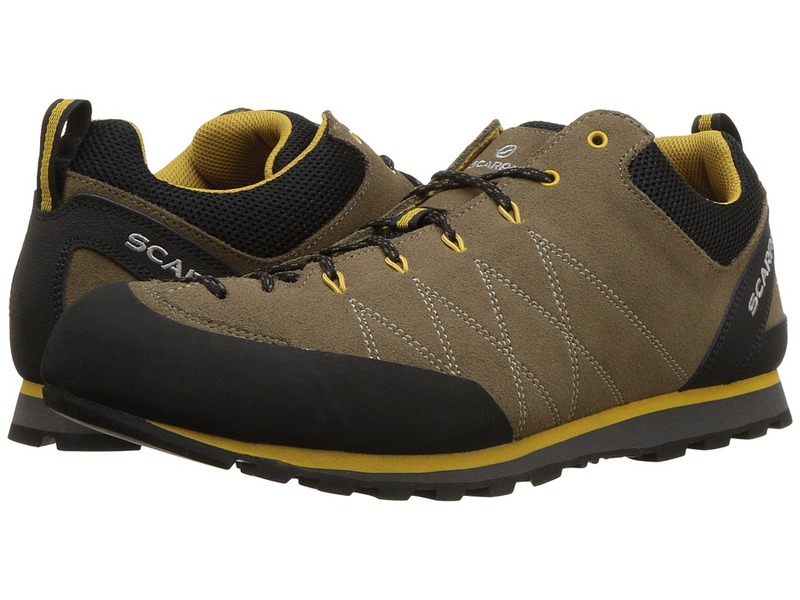 Ideal for any outdoor activity, the Scarpa Moraine Mid GTX is a lightweight, flexible trail shoe that offers superb ankle support. Planet Friendly: &amp#822640 percent recycled synthetic leather and 29 percent recycled polyester mesh upper. &amp#8226100 percent PC recycled lining 70 percent recycled stroebel. &amp#8226Lace and webbing is 100 percent Ecosensor recycled polyester. &amp#8226Midsole has ECOPure EVA additive to promote degradation in landfill conditions. &amp#822625 percent recycled rubber outsole. Structured toebox with abrasion resistant toe rand. Tongue lining made with stretch GTX XCF for outstanding fit and comfort through the midfoot area. Extended Comfort GORE-TEX membrane for protection with maximum breathability. Removable insole. Arch suspension plate insert. Dual-density compression molded EVA midsole. Durable Trail-Grip rubber outsole. Measurements: Weight: 1 lb 3 oz Product measurements were taken using size 45 (US Men~s 11.5), width D - Medium. Please note that measurements may vary by size. Weight of footwear is based on a single item, not a pair. 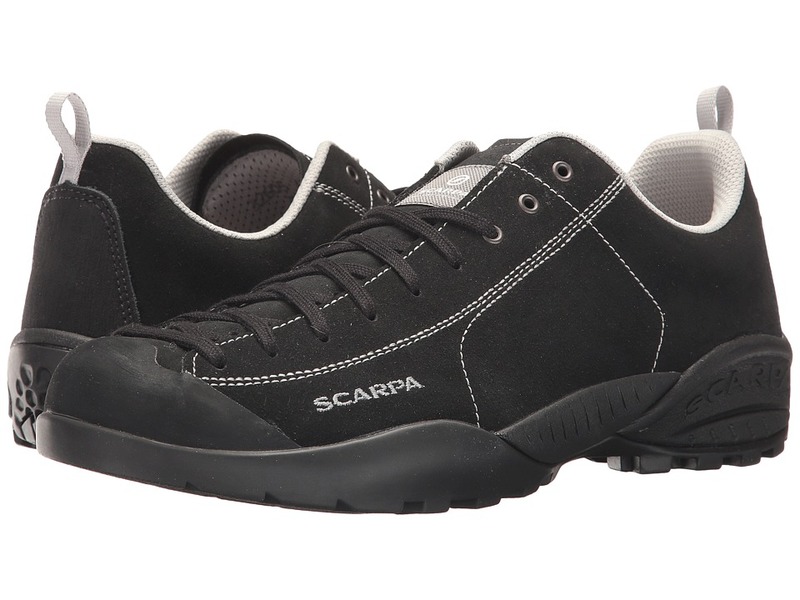 With the comfort and sensitivity of the Helix by Scarpa, you can set your sights on any climb you want. Durable suede upper. Lacing runs further down toward the toe, improving adjustability and providing a secure fit. Convenient pull tabs on back for easy on and off. Padded tongue offers incredible comfort. Large rubber patch for easier toe-hooking. Heel cup design is inherited from the more advanced Techno family, proving both added cushioning and support. Flexan 1.9mm midsole. Durable 3.5mm Vibram XS Edge outsole. Last: FF. Imported. Measurements: Weight: 10 oz Product measurements were taken using size 45.5 (US Men~s 11.6), width D - Medium. Please note that measurements may vary by size. Weight of footwear is based on a single item, not a pair. 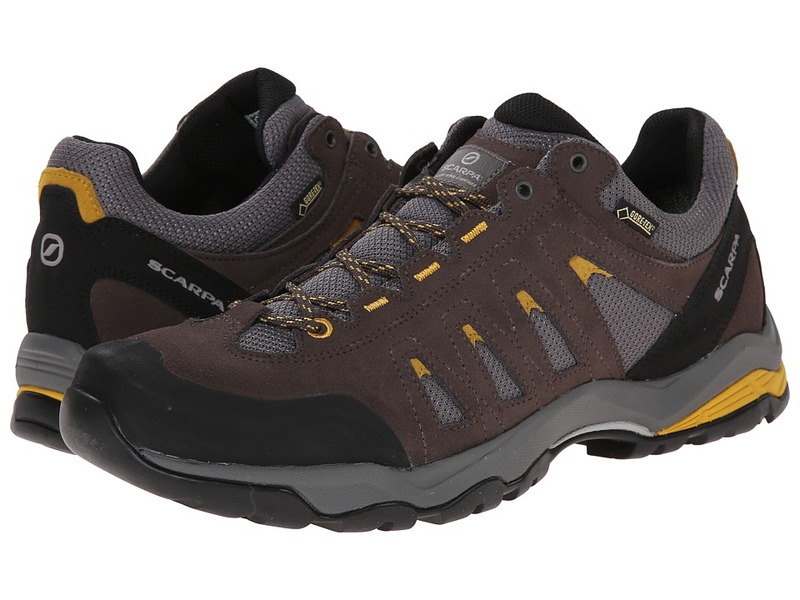 The Scarpa Crux hiking shoe keeps you comfortable on approach, moderate climbs and those long, rugged trails. Planet Friendly: &amp#822640 percent recycled synthetic leather and 29 percent recycled polyester mesh upper. &amp#8226100 percent PC recycled lining 70 percent recycled stroebel. &amp#8226Lace and webbing is 100 percent Ecosensor recycled polyester. &amp#8226Midsole has ECOPure EVA additive to promote degradation in landfill conditions. &amp#822625 percent recycled rubber outsole. Suede upper with recycled polyester airmesh. Smooth recycled polyester lining. Microporous EVA offers form-fitting comfort and support. Vibram vertical approach. 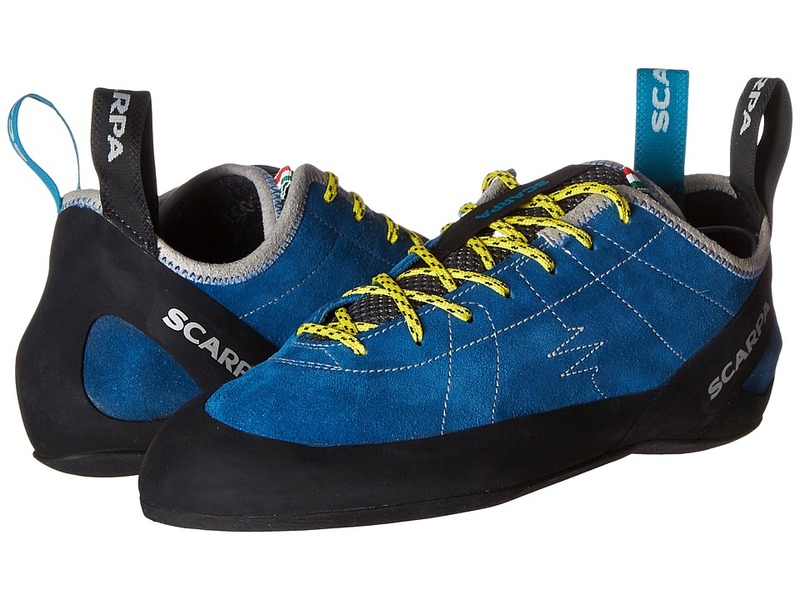 Forefoot webbing with Kevlar secures the forefoot for climbing precision. Rubber toe rand. Super sticky Vibram Vertical Approach outsole. Measurements: Weight: 1 lb Product measurements were taken using size 45 (US Men~s 11.5), width D - Medium. Please note that measurements may vary by size. Weight of footwear is based on a single item, not a pair. 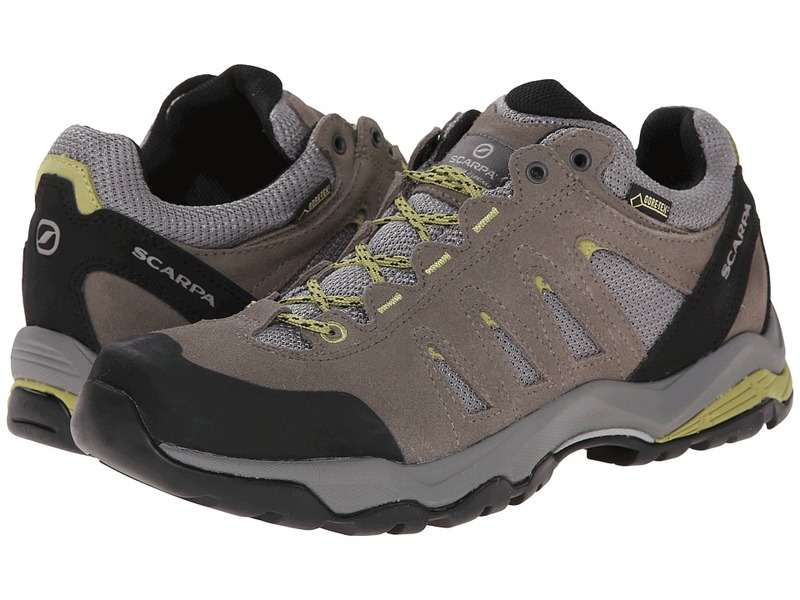 Ideal for any outdoor activity, the Scarpa Moraine Mid GTX is a lightweight trail shoe that will keep you protected and comfortable in any condition. Planet Friendly: &amp#822640 percent recycled synthetic leather and 29 percent recycled polyester mesh upper. &amp#8226100 percent PC recycled lining 70 percent recycled stroebel. &amp#8226Lace and webbing is 100 percent Ecosensor recycled polyester. &amp#8226Midsole has ECOPure EVA additive to promote degradation in landfill conditions. &amp#822625 percent recycled rubber outsole. Structured toebox with abrasion resistant toe rand. Tongue lining made with stretch GTX XCF for outstanding fit and comfort through the midfoot area. Extended Comfort GORE-TEX membrane for protection with maximum breathability. Removable insole. Arch suspension plate insert. Dual-density compression molded EVA midsole. Durable Trail-Grip rubber outsole. Measurements: Weight: 1 lb Product measurements were taken using size 41 (US Women~s 9), width B - Medium. Please note that measurements may vary by size. Weight of footwear is based on a single item, not a pair.